Tours for example would travel the Anne Beadell, Connie Sue or Gunbarrel Highways and include all of the sites and features along the route as well as the history of the area. Sensible preparation is required and basic facilities such as fuel, water, showers and food items will be available from the various Roadhouses several times during the tour. We normally average about 150 kms per day with a day-off from travelling mostly included. 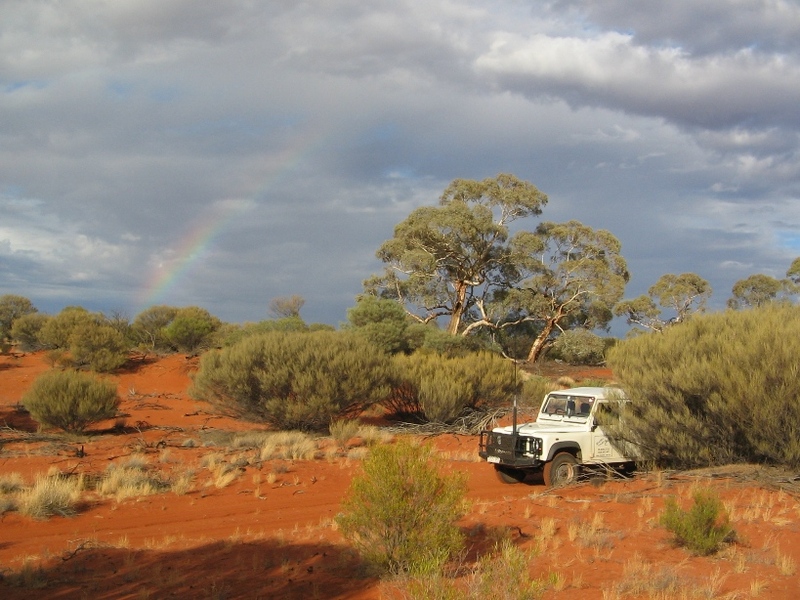 One of Beadell Tours main aims is to make sure you return home after the trip knowing far more about the Australian western deserts than when you left. To do that we offer smaller groups more points of interest and more historical information at a slower pace. Tag-a-long vehicles & camper trailers are welcome to join our tours. 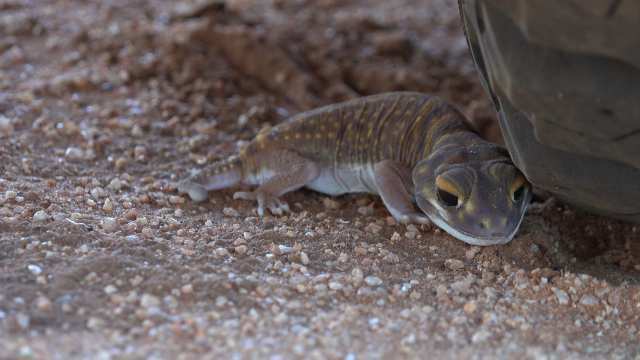 The south west corner of the Great Victoria Desert is one of the least travelled & least known of all the desert regions. Most traffic uses the famous Beadell Tracks to the north & east. 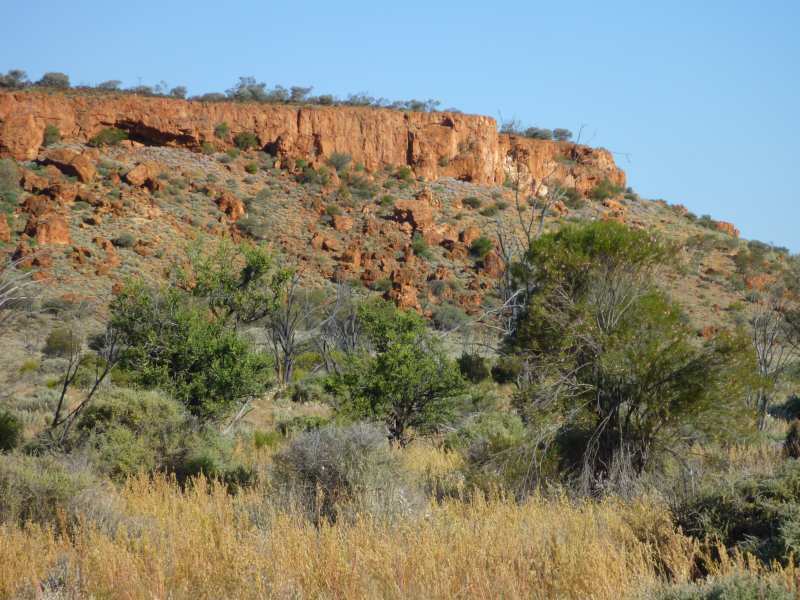 This tour will investigate that almost forgotten south west GVD by using the network of roads & tracks from the sandalwood harvesting days and various routes pushed in for mining exploration. Explorers from the previous centuries left valuable journals and maps of this area and we intend visiting sites these men relied upon in days gone by. 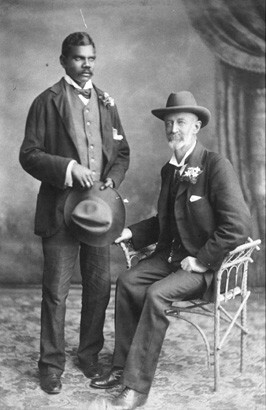 Ernest Giles in 1875, David Lindsay in 1891, David Carnegie in 1894 and Frank Hann during the early 1900s are the best known. Aboriginals of course knew the country intimately but they left no written records for us to understand how they saw the country that sustained them for countless generations. We will see plenty of evidence of aboriginal occupation and we will explain how they survived in a country where we can’t. 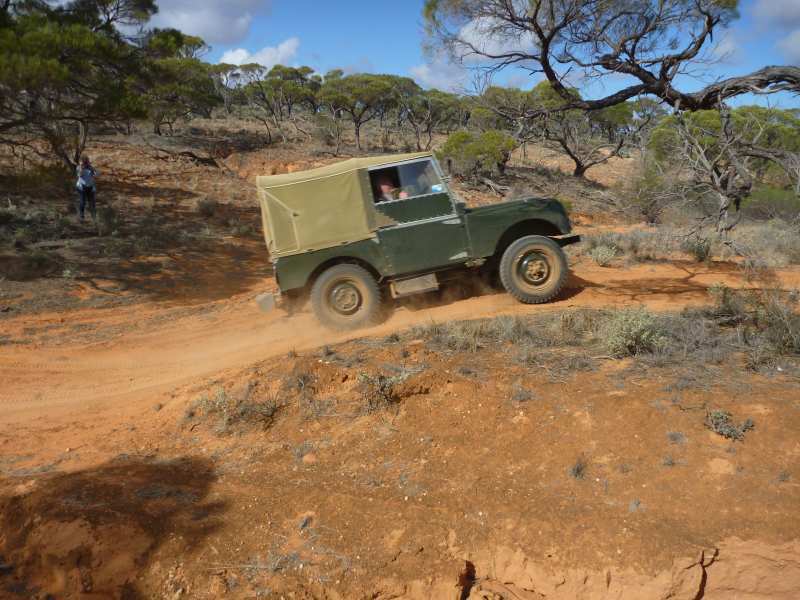 This tour will have a variety of road conditions from good maintained roads, faint wheel tracks through the scrub and finally a small amount of rough going while we get into historical sites. If you have always wanted to try a desert trip that is a little different then this may be the one. Join us for some adventure & history rolled into one slow-paced enlightening ramble. This tour will have patches of rough scratchy overgrown tracks – if you are concerned about your vehicles paintwork this trip may not be for you. Talk to us about it. For those travelling from the east you will lose your fruit & veg’ at the WA border Quarantine – resupply is available at Norseman, 100 kms further west from Fraser Range. May 2nd 2019 - depart Fraser Range Station W.A. May 21st 2019 - arrive Fraser Range Station W.A. "EXPLORERS TRIP - FRANK HANN & MORE"
This is not a full blown off-track expedition but will be doing a lot of travelling on faint wheel-tracks so some difficulties with tyres should be anticipated. Also this tour will have patches of rough scratchy overgrown tracks – if you are concerned about your vehicles paintwork this trip may not be for you. Talk to us about it. 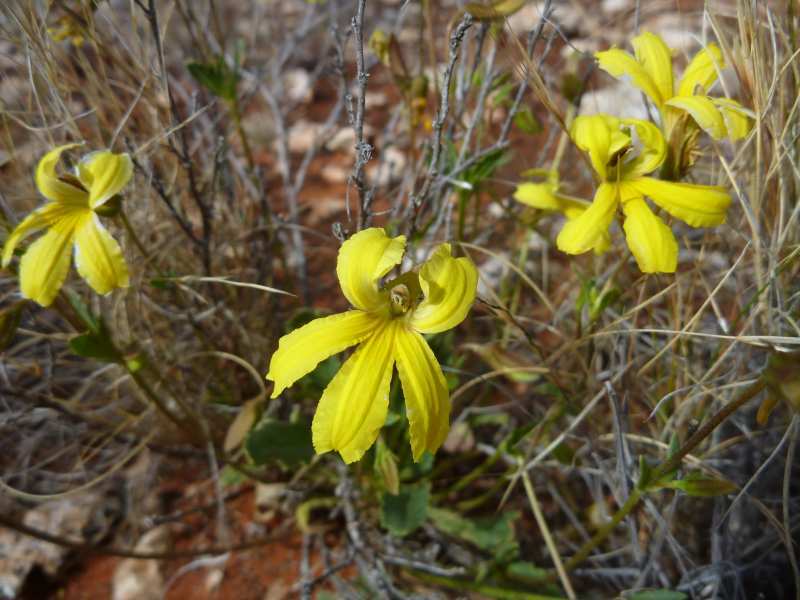 The south west corner of the Great Victoria Desert is one of the least travelled & least known of all the desert regions. This tour will investigate that almost forgotten area of the GVD by using the network of roads & tracks from the sandalwood harvesting days and various routes pushed in for mining exploration and in some cases tourism. For the most part we will be in country explored by Frank Hann during the early 1900s. We are lucky that Frank kept journals of his trips, otherwise huge areas would have no recorded information. Aboriginals of course knew the country intimately but they left no written records for us to understand how they saw the desert that sustained them for countless generations. We will see plenty of evidence of aboriginal occupation and we will explain how they survived in a country where we can’t. June 5th 2019 - depart Tjukayirla Roadhouse W.A. June 26th 2019 – arrive Cocklebiddy Roadhouse W.A. From the S.A. Dog Fence we use the Anne Beadell Highway to enter the Great Victoria Desert. We visit Tallaringa Well then Emu. Time is required to see everything at the Atomic Test sites, it was a far larger operation than most imagine. During the trip, road sign Plaques put in place by pioneer road-builder Len Beadell will be seen. His daughter Connie Beadell is now in charge of the Plaque maintenance. Explorers are also a focus, men such as Giles, Tietkens, Lindsay, Forrest, Maurice, Hann & Terry. From Neale Junction we turn north up the Connie Sue Hwy. We visit rockholes, Ranges, Bluffs, Gorges & Chasms on our way to Warburton. Continuing on the roads Len built, we come onto the Gunbarrel Highway north of Warburton and skirt the edge of the Rawlinson Ranges. It was this country that Explorer Giles & Gibson struggled through in 1874. Reaching Warakurna we call in at Giles Weather Station and see the Gunbarrel Road Construction Party Grader, preserved for all. The magic scenery continues as we follow the Sandy Blight Junction Road. This is one of the most scenic roads in any of our deserts winding around red sandhills through forests of Desert Oaks. From Sandy Blight Junction we reach Alice Springs via the Gary Junction Road. July 25th 2019 - depart Coober Pedy S.A.
August 21st 2019 - arrive Alice Springs N.T. 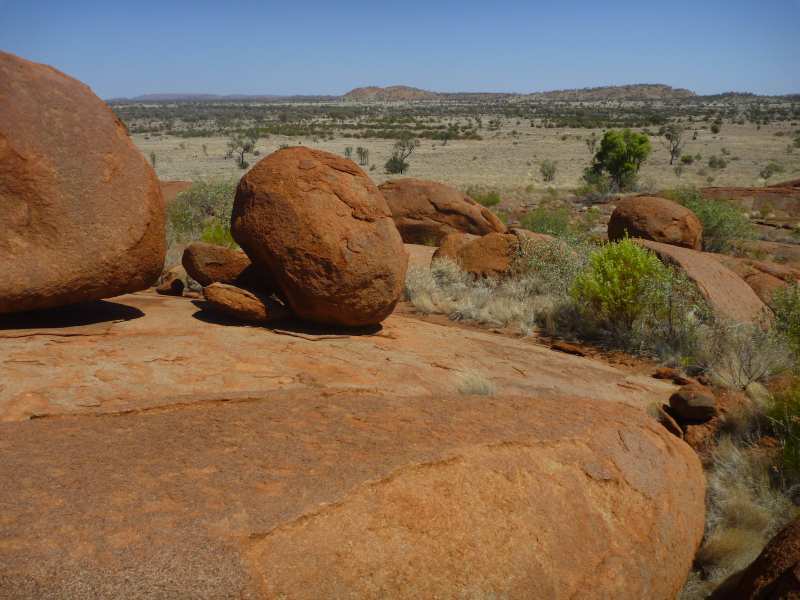 This is a shorter trip focusing on the little known Central Ranges, an area sprawling over the borders of South & Western Australia, and the Northern Territory. Early explorers such as Giles, Gosse, Forrest and Hann passed through this region and from them the maps we see today have come. Aboriginal culture is alive and well in the Central Ranges with the bulk of the remote area communities nestled in and around the Tomkinson, Rawlinson, Petermann & Warburton Ranges. The Olgas dominate the skyline as we turn west and head into those Central Ranges. Near Docker River in the Petermann Ranges we get onto Len Beadell’s Sandy Blight Junction Road in the same country as explorers such as Giles, Terry & Hann once walked & rode. In fact, Lasseter’s lost reef is in this same country. Following the Gunbarrel Highway south we visit the exceptional Blackstone Community Art Centre before heading west on old roads & tracks to Warburton. Picking up the Gunbarrel once again we return eastward to the Rawlinson Range & Warakurna Roadhouse. Reaching Giles Weather Station preserved for all to see is the Gunbarrel Road Construction Party Grader and a museum of artefacts from the Weather Stations 62 year history. 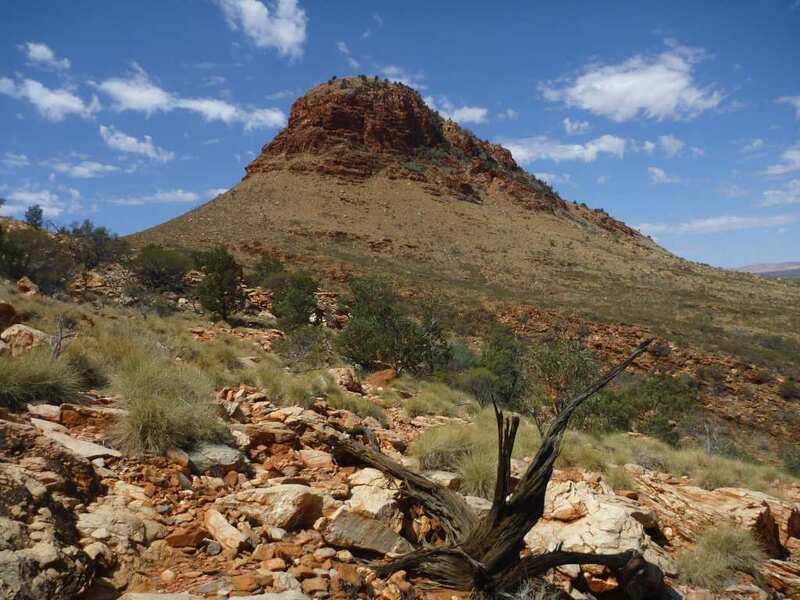 It is at Giles where modern science exists alongside Aboriginal culture. Travelling east along the Schwerin Mural Crescent we get back into the Petermann Ranges, then back through the red sandhills & Desert Oaks we return to the Olgas & Ayers Rock once more. September 3rd 2019 - depart Yulara Resort N.T. September 18th 2019 - arrive Yulara Resort N.T.